Birthdays are reminders for us to reflect on our journey—where we’ve been, where we are, and where we want to be. Year 30 feels significant, as the milestone prompts an assessment of achievements—the reflection of your decisions as a young adult. The shift should now be toward stability, and when your life shows no such semblance—well, it’s difficult not to question how the hell you got there. My journey has been circuitous at best. From a province in the Philippines, I spent my early years at the beach with family, roasting bangus (milkfish) wrapped in banana leaves. Then, it was pure joy and contentment—nothing mattered, no wants were unmet. Years later, out of high school in a high-poverty district in St. Louis, my scholarship offers exceeded a quarter of a million dollars from universities throughout the U.S. I chose to pursue marine biology at a university in Florida with a nearly-full scholarship, but because of a system error at the Social Security Administration, some grants were not given. Instead, I chose to stay in St. Louis at an acclaimed (Carnegie Research 1) but way too familiar state university, where my scholarship offers were fully re-instituted with the help of an admissions counselor. And…I hated it—the culture, the sameness. Here, I was, given the American Dream—and my urge was to leave it. I thought about other directions, new places. There was culinary school. I never hated being in the kitchen from prepping to cleaning. It was simple and true to my heart—a way for me to create. It would be a skill that could give security, despite finding out later that no, real chefs don’t care about this credential; it’s about your experiences and apprenticeships. Then, there was the military. An ex-fiance, a cavalry soldier, and my brother, a marine, would prove to be influences. Then, 9/11 happened, and I chose to stay put, mostly to be close to my family—my nephew newly born and the light of my life. Still, I was unhappy with my career path—innumerable hours at the physics, chemistry, biology labs gave me metaphoric hives—formaldehyde soaked in my clothes, crept underneath my skin. This cannot be my life for the next 30 years, I thought. I conceptualized marine biology to be mostly field-based, but time in a laboratory was unavoidable for a scientist. I had to reconsider my dreams of exploring uninhabited islands scattered throughout the many seas and oceans. “Go into medicine. Be a surgeon,” my mother urged. She, a registered nurse, knew the prestige attached to this career. I considered it as an adolescent—I was obsessed with a television show, The Operation, on the Learning Channel, way before Nip/Tuck became a phenomenon. Then, the constraints: the many more years of schooling, the residencies, the time demands. “I’ll be on call 24/7?” I wasn’t ready for that kind of commitment—despite the prestige, the financial security. And anyway, I hated hospitals—the smells, the cold sterility, the pain numbed by intravenous drugs. I thought that there has to be more to life than this: meaningless competition for the sake of social prestige and financial security. Inciting resistance from my parental figures, I switched majors from biology to creative writing—poetry—because I spent my free hours composing, thinking, observing. On weekends, I’d be lost in some used book store for hours. I committed—eventually pursuing an MFA, partly because of the idealism attached to it. It’s an avocation. It meant that I was beyond society’s typical survivalist drive—evolved somehow; it meant that my internal values were more important than what the hungry world wanted out of me. In the last decade, I’ve attempted to live my ideals as reality, in turn causing me years of uncertainty and chaos, and twice, almost my life. For years, I regretted my decisions—“I could have been…” always at the back of mind, especially when I had to sacrifice time, circumstances, and happiness in order to actually feed myself. What were the values in ideas, culture, meaning—things that actually resonate with my soul—if one couldn’t have a sustainable quality of life? Not much is certain, still, except the comfort of knowing life will be exceedingly beautiful from here, as I’ve survived the toughest parts of young adulthood—especially, for those who pursue life with authenticity and dangerous abandon, trusting that somewhere down the road, clarity and meaning will take form, that even if these ideals caused suffering, a life without them would be even more painful. 1.) Everyone is on [insert singular, non-gendered pronoun here] own journey. Accompany them or step out of the way. 2.) If you’re not failing, you’re not trying hard enough. 3.) Luck is when opportunities meet preparedness. 5.) Life is a puzzle; the more pieces you connect, the clearer the picture. 6.) A creative outlet isn’t a luxury; it’s a necessity. 7.) A mistake doesn’t make your character. Your subsequent actions do. 8.) Question everything; then listen and observe. 9.) Know your values so you can define what you want. 10.) Your subconscious is a tricky animal. Free it. 11.) Freedom is not the same as escaping. 12.) Only sacrifice what you can part with. 13.) Don’t hold back; don’t hang on. 14.) Honesty is only painful at first. 15.) You can’t control what happens, only your reaction to it. 17.) Love and attachment are not the same. 18.) Attraction can manifest in multiple ways—treasure beyond the physical. 19.) Follow your heart; take your brain with you. 20.) Feel the pain, heal, transcend—“turn the ugly into beautiful” (per a poetry mentor). 21.) Sometimes, the truth is larger than you. 22.) Experiment; then, improve your process. 23.) If you don’t catch the lessons the first time, pay attention to reminders. 24.) Literally and figuratively, leave the place cleaner than when you arrived. 25.) Be grateful for your freedoms and enable others to gain theirs. 27.) Don’t make decisions based on fear—real or imagined. 28.) Dreams are only useful when put into action. 29.) Know your potential so you can exceed them. 30.) The opposite of destruction is not peace; it’s creation. The two hours or so I may have spent typing amounts to no monetary compensation. In between conception and implementation, I prepared hot green tea, cooked some mid-afternoon oatmeal, stared outside at the cloudless African sky and distant green hills. But when I did—I felt whole, connected. In those few hours, nothing else mattered. Recently, I created a Facebook event: Cinco de Mayo (i.e. an excuse to drink more tequila!). 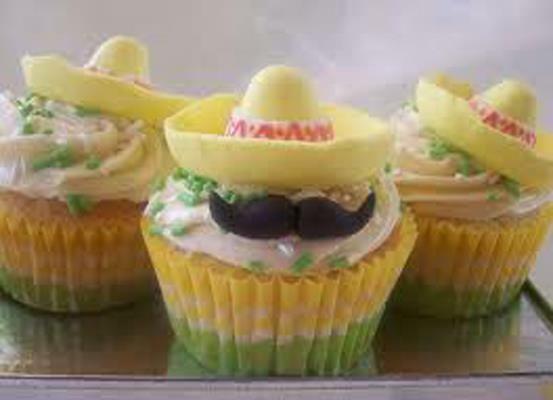 The photo is a bit misleading: cupcakes with a mustached-sombrero. “Let’s order those from the bakery!” my roommate (and co-worker) commented. “Great idea!” I reply, surprised that the bakery here—in East Africa, in a town of 100K—can actually craft such intricate work. I’ve been surprised before—my expectations or assumptions mirrored in some ironic way. “But there are—“ The week before, one of the primary students at our school had an elaborate birthday cake delivered, complete with a farmhouse, horses, trees. “Haha. I am.” And I’m not sure why. I’m not usually a party-thrower. I’m not even Mexican. Of the invited guests, only about six are North Americans who would even know what Cinco de Mayo is. Perhaps I’m compensating. In the past, I’ve always used Cinco de Mayo to celebrate my birthday, which comes two days later. I’m not the type to throw a party for myself, in celebration of getting older. For years, Cinco de Mayo offered enough debauchery for an entire week. I’d then prefer a quiet night in or a small dinner with my family and friends. Perhaps with the community of expats here who’ve found their respective niches, I have trouble defining where I belong. In fact, ever since high school, I’ve floated around groups in various cities, not really having a solid, cohesive group to run to. Perhaps, it’s just my personality—if you’re familiar with Myers-Briggs, I’m an INFJ with some E or P tendencies, so I usually don’t seek company or much attention anyway, although I don’t shy away from it when available. More likely, it’s the lack of common interests, in terms of identity. We always gravitate toward familiarity—so perhaps nationality will bring them together, or gender, or line of work, or marital status, or drinking habits, or spiritual beliefs. As the only openly queer person here, as far as I know, I sometimes feel like a lone ranger without a Tonto. In the past, of course, not all of my friends were queer, but our mutual struggles in living with this marked identity helped bring us together. Perhaps with them, I could feel more myself—not judged for my preference in lovers, not a deviant of some sort. New York City gave me ample opportunities to float amongst these groups—and find both connection and support through the countless hours we’d spend, just sitting in dim-lit bars and balconies overlooking rivers and parks. Some became my soulfriends, whom I can freely bombard with my failures and progress, even now through Skype. 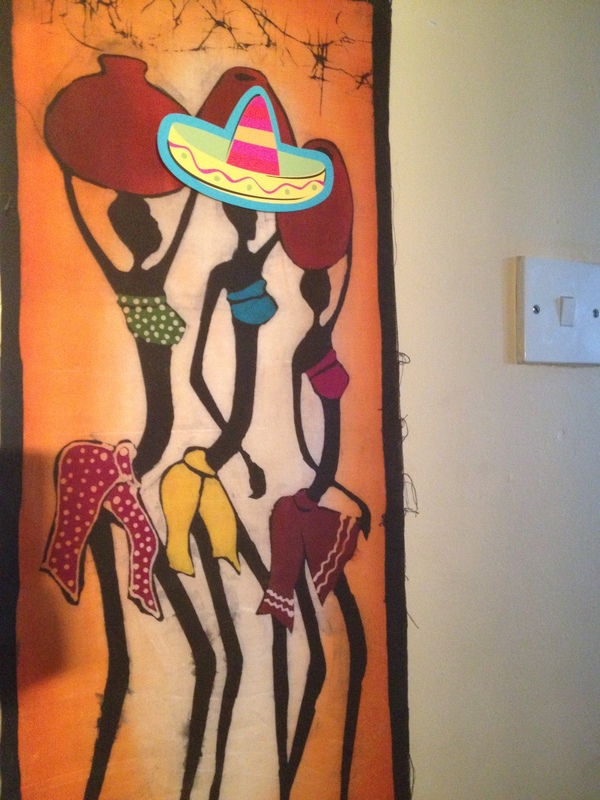 Last year’s Cinco de Mayo, which I titled, “Three parties in Brooklyn, during which a Mexican eagle danced in his underwear and the supermoon disappeared from the sky” is vastly different than this week’s. It began with a rooftop party in Williamsburg, complete with a live dj, photographer, and “stockers”—or people who walk around with snacks—pomegranate-sprinkled guacamole, tostadas. It wasn’t fancy. You had to pay for your drinks. But the music, the crowd was typical, beautiful Brooklyn. One stop away on the L was the next party—closer to Bushwick. Also rooftop but more intimate, at a friend’s place, complete with a short-haired tan Chihuahua. I don’t remember much but lots of asses being smacked and grinded on, as only close friends can get away with. And the third was at another friend’s Brooklyn high-rise—let’s just say, doorman, elevators the size of my first apartment (a slight hyperbole), and embroidered towels. The jalapeno-infused cocktails were quite a treat. And the balcony, from which the supermoon should have been visible, was the place of many aimless conversations, the traffic below creating a beautiful lull. “I think you should go—“ to Africa, a friend’s mother suggested. I had just met her—Taiwanese, tall, and as intimidating of a person as her daughter had painted—except friendlier. “You don’t need the Fellowship.” I was deciding between a 3-year New York Teaching City Fellowship in Science or an internship at an international development organization in Rwanda—for only a small stipend, because it was a start-up. Even those with graduate degrees in international development—and the CEO—did not receive a salary. It was such a risk. Conflicting wants rendered me confused for several months. Eventually, I would decide on a third option: teaching secondary English and literature at international school in Tanzania. For me, it would be an opportunity for adventure, stability, and more time to write—a confluence of wants. In my eight months here, I’ve tried to find a balance between solitude—working, writing—and being social. I tended to lean more toward the former, not by choice, but by necessity. I underestimated the workload that I currently have—and I’m way behind schedule on my writing projects. When I do socialize—it’s multipurpose: there’s cooking or exercise/outdoor activities involved. Unfortunately, this falls under the “floating” category again, and the expat groups appreciate or need regularity. I wonder at times what I’m losing out on—even if I’m friendly with most, I’m not “close” to any groups in particular. Although I’m not “lonely” per se—introverts value solitude and the imposed busyness can prevent me from dwelling on not being able to “just have coffee or dinner”—the type of culture here in the middle of Africa does not support such aloofness. That means, I need to put in more effort. So, no sombrero-decorated cupcakes aside, it’s one effort I’m putting toward “not floating,” despite my natural tendency to hover somewhere between the elements of air and earth*.